A bit provocative in its title, this article is dedicated to French prewar battlecruisers paper projects, proposed by officers Durant-Viel and P.Gille. These were part of the ambitious 1912 naval plan that gets rid of the noxious Jeune Ecole school of thought, to concentrate on modern homogeneous classes of ships inspired by foreign navies like the Royal Navy and Hochseeflotte. The 1912 plan was established by Admiral Boué de Lapeyrière, then minister of Marine, and included 28 battleships, 10 scout cruisers, 52 large destroyers, 94 submarines and a dozen colonial gunboats to be completed in 1920. 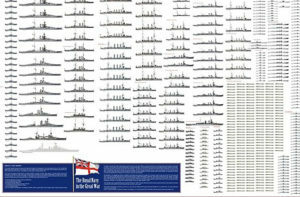 Now this plan mentioned “battleships” and “scout cruisers” but nothing in between, although the battlecruiser concept was known since the Royal Navy introduced the Invincible class in 1909. That’s why the plan was revised in 1914 to comprise eight grands éclaireurs d’escadre which loosely translates as “large squadron scouts”. These were battlecruiser by all but name and were planned by two officers, Pierre Gille, and Durant-Viel which proposed three designs, respectively. 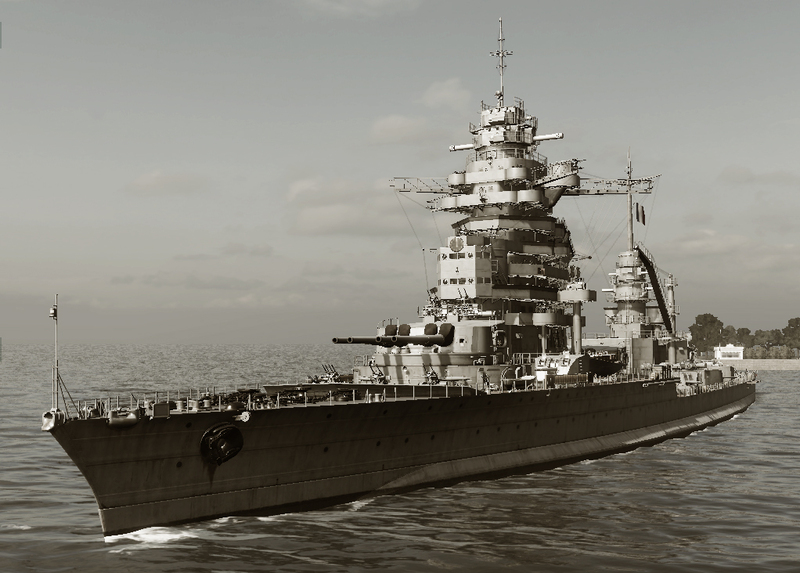 The final versions were inspired by the Queen Elisabeth class and were more akin fast battleships than battlecruisers. Whatever the case, the war ensured these projects stayed on paper, although the budget rose from 333 million francs to 567 in 1913. France was much more advanced in dreadnoughts, in fact, two classes had been planned, and the first was already on construction when he war broke out: This was the Normandie class battleships, of which only the Béarn, laid down in January 1914 and only launched after modifications in 1920, was eventually completed as an aircraft carrier due to the Washington treaty limitations. The four others, Flandre, Gascoigne, Languedoc, and Normandie has been launched in October 1914 to may 1916 but were broken up after the war. More impressive were the Lyon class battleships which added a quadruple turret (four total) to the design and reached a 30,000 tons weight. They made in numbers and quick-firing what lacked in caliber (340 mm versus 380 to 406 mm at that stage) with a full broadside of 16 guns per ship. None of the Duquesne, Lyon, Lille, and Tourville designed by M.Doyere had been laid down when the war broke out, although they had been planned to be started in late 1914 by Brest, La Seyne, St Nazaire and Lorient yards. We can only dream how these could have fared in ww1, or ww2 if properly modernized like the Regia Marina did with their Cavour and Caesar class dreadnoughts. The requirements specified by the Ministry of Marine was of a 28,000 tonnes, 27 knots, eight-340 mm armed class of ship. This led to three designs, and one by Gille, which was submitted in 1913. Gille’s design was called “cuirassé-croiseur” instead of the reverse “croiseur cuirassé”, the usual denomination for armored cruisers, now obsolete. This could only mean the design was intended more like fast battleships like the Queen Elisabeth class, but with a somewhat lighter armor, 270 mm for the main belt here (10 in). 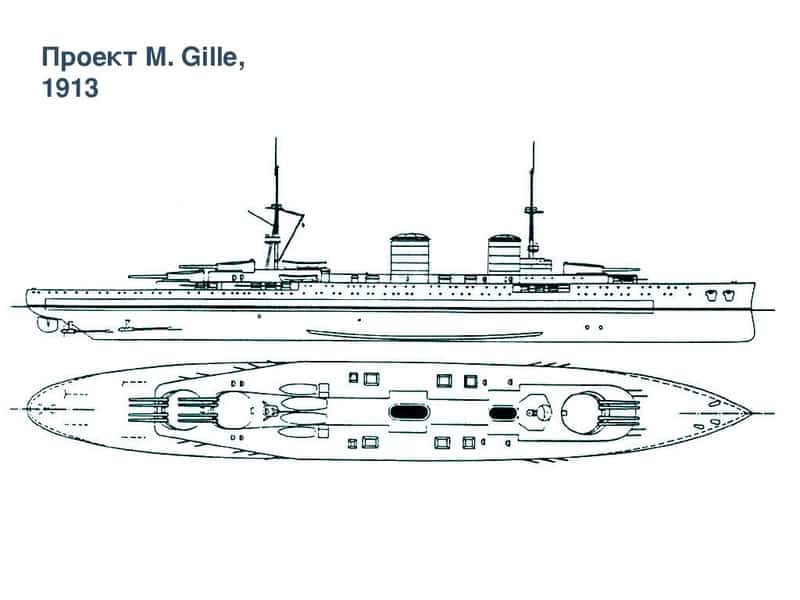 The preliminary designs of 1912 planned ships armed with eight 340 mm total, whereas Gille’s design paralleled the new Normandie class battleships with quadruple turrets. This made for a total of 12 guns, in three turrets, the same caliber ensuring lower ammunition and maintenance costs. These 13.4 in, 15 calibers model 1912 were relatively fast-firing (2 rounds per minute), and made for numbers what they lacked in shell weight. Quadruple turret management, however, if procuring advantages like a reduction and concentration of armor, was risky if it was hit. It also could be problematic in terms of dispersion. Rendition (src: Rengokuy) of the Gilles type. The hull was built as a model and extensively tested in a pool during the design process so engineers were very confident the hull lines of the ships were to be highly efficient. However, the main battery turrets being quite heavy, this imposes the whole range of modifications to enhance the hull’s solidity, with heavy-duty longitudinal beams and bracing, and strengthened inner and outer skins of the hull. Metacentric height was calculated as 1.03 m (same as the Lion class). The steam direct-drive turbines developed 80,000 shaft horsepower (60,000 kW), fed by 52 coal-fired Belleville boilers. In 1912 there was no prospect of using oil-fired ones yet. Each shaft was connected by a high, medium and low-pressure turbine. The direct drive turbine was used for the reverse. The 340mm/45 Modèle 1912 guns were the same already made by Schneider-Creusot for the Bretagne and future Normandie class. The arrangement was identical to the latter, with a single forward turret installed on a secondary battery superstructure, while the two aft were arranged in a superfiring position. 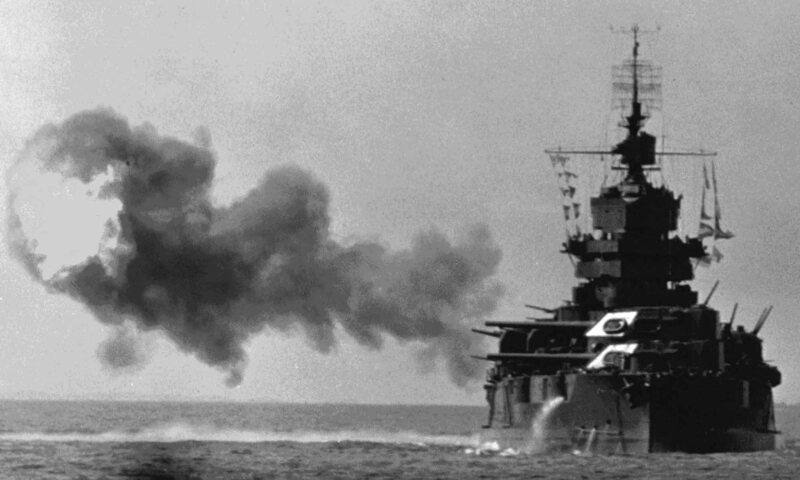 In any case, this would have given a formidable broadside of 12x 240 mm guns, four in chase and eight in retreat. This caliber for these pieces using separate charges and shell was proper to the French Navy. It was more or less equivalent to the British 343 mm developed at that stage and were find light enough to be distributed in quadruple turrets. (WW2 King Georges class which also had two quadruple turrets would use a not-so-far 360 mm caliber rather than the very heavy 381 mm). The many cancellations that followed found these spare guns converted as railway guns, and later whole turrets were used for coastal defense. Propulsion 4 propellers, 4 shaft-geared turbines, 52 coil-fired boilers, 80,000 hp. In 1913, some Naval College students submitted several cheaper fast capital ships with 27,500 tons in displacement to the Admiralty. Lt. Durant-Viel was the only one designing a battlecruiser. He drew two designs that were studied by the Admiralty in June 1914. Durant-Viel saw his ships forming a fast division, able like a cavalry to encircle and pummel slower capital ships. “A” design displaced 27,500 t (27,100 long tons; 30,300 short tons) and was 210 m long for 27m wide. Thy should have been propelled to 27 knots thanks to four sets of direct-drive turbines and 74,000 shaft horsepower, fed by a set of 22 mixed boilers. The normal range would have been 3500 nm, and there has been enough fuel for six hours of combat speeds. Armament relied, as above, on the trusted 340mm/45 Modèle 1912 naval gun, but also in a quad configuration. However compared to the “heavy” Gilles design, they only had two turrets, like the future Dunkirk class, but for and aft. Secondary armament relied on the local 138.6 mm Modèle 1910 guns mounted in casemates. The forward turret, like the Normandie, was mounted on the forward casemates superstructures. It is established this smaller caliber (compared to the mainstream 152 mm/6 in) had less punch but were faster-firing. Such a large number to bear and this rate of fire was thought enough and better suited to deal with torpedo boats, while the 6-in was generally seen fit to engage larger ships altogether. As customary also the design incorporates four submerged TTs for close and personal duels. The entire protection was copied from the Normandie, but slightly thinner. The belt was 280 mm thick, as compared to HMS Lion’s 229 mm as an example. So in general philosophy, these ships would have been a bit like German battlecruisers, a bit slower (HMS Lion 27.5 knots), slightly less heavily armed (340 rather than 343 mm guns, same for secondary), but better protected. A formidable counterpart for the future Normandie and Lyon anyway. Possible reconstitution of the Type A if modernized in the 1930s. Propulsion 4 propellers, 4 shaft-geared turbines, 24 mixed boilers, 74,000 hp. Photomanipulation showing the Type B as she could have been in 1940. 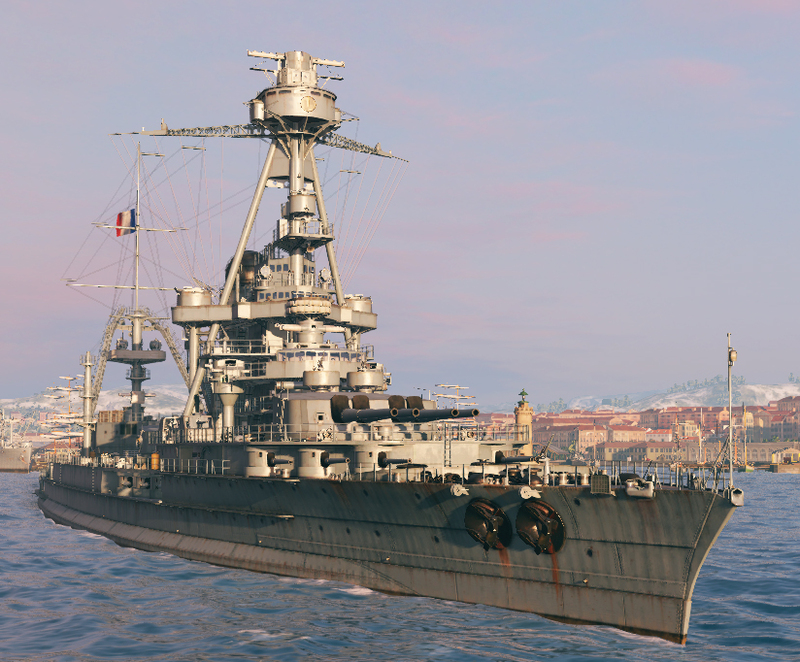 The “B” was designed a bit as a counterpart for the projected Lyon class battleships. The main difference was a much heavier broadside with brand new 370 mm guns (nearing the projected British 381 mm adopted by the Renown from 1916). As the same displacement was kept, compensation was obtained by a reduction in the armor protection (secondary guns) and increased power. 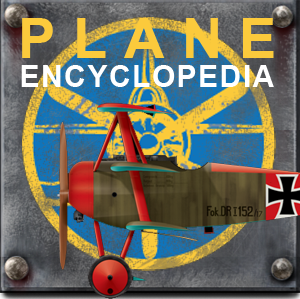 This would have consisted either of four sets of direct drive turbines (63,000 hp) or steam-geared turbines (80,000 hp), with a corresponding top speed either of 26 or 27 knots. 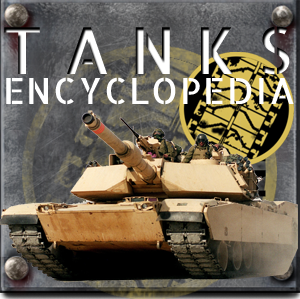 The new guns would have fired 880 kg (1,940 lb) shells able to penetrate 300 mm (12 in) of armor at 12,700 m. The secondary battery was increased by 4 guns, for 28 total. Armor scheme was identical to the “A” design but the hull was shorter by two meters. With such armor, secondary armament (even lighter) and heavy battery no doubt these ships would have been formidable opponents for any navy of the day. Propulsion 4 propellers, 4 shaft-geared turbines, 18 mixed boilers, 63,000 hp. The fact is the war erupted, and in August 1914 France seeing her territory invaded had no choice but commit all manpower available to counter the onslaught. As consequence shipyards were soon emptied and constructions halted. If that was not been the case, the Normandie would have emerged in late 1915, early 1916, the Lyon in 1917, mirroring the Battlecruisers. With such ships and former dreadnoughts of the Courbet and Bretagne, France in 1917 would have committed a modern battle fleet comparable to the Hochseeflotte rather than a collection of prototypes inherited from the “young school adventure”. We can only guess also if these ships would have been still in service at the start of ww2. Friedman, Norman (2011). 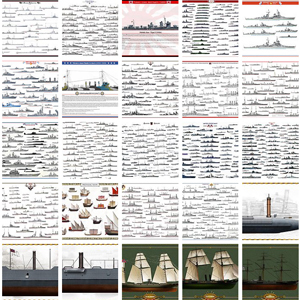 Naval Weapons of World War I.